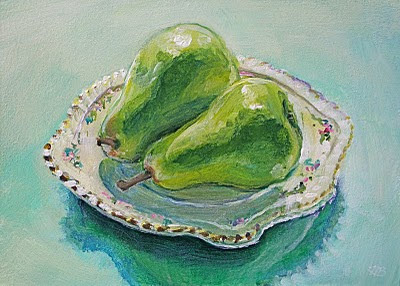 A quick painted sketch of two barlett pears on a small dish, lit from behind by the morning sun, and resting on a sheet of glass. The goal today was to paint quickly, using crude bristled brushes and thicker paint, to zero in on the visual elements that would communicate mass, weight and surface texture. 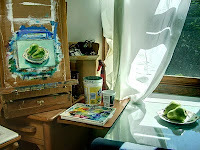 Inspiration came from Julian Merrow-Smith's recently published book "Postcard from Provence" where the majority of his still lifes come forward out of a dark, obscured background, lending them a feeling of intimacy. 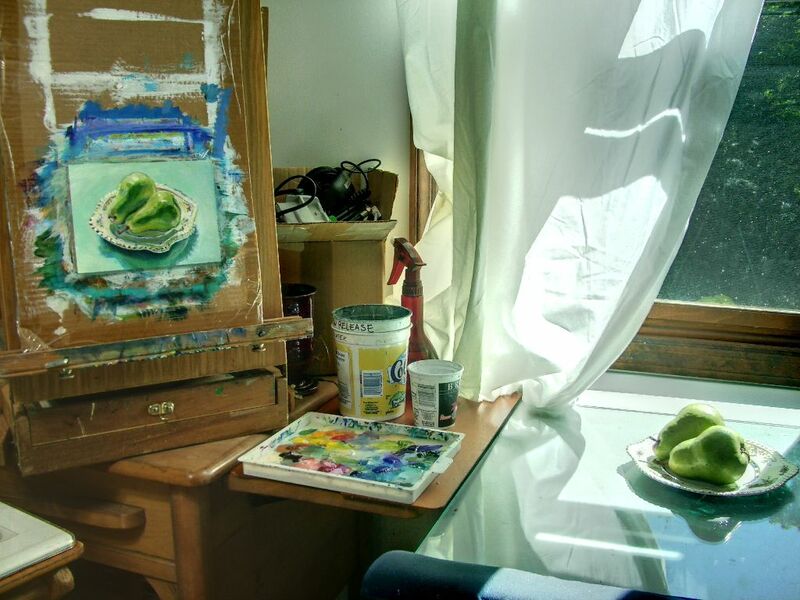 Here, the fruit come forward out of light, a "girlie" painting, bright with sweet colors and optimism. Click here to follow the auction for this painting.